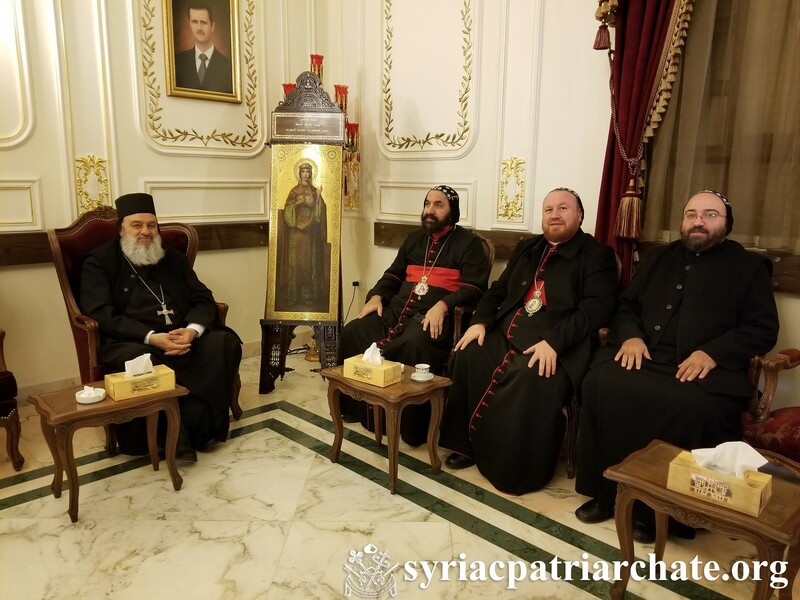 On March 7, 2019, His Holiness Patriarch Mor Ignatius Aphrem II received His Eminence Mor Severius Malke Mourad, Patriarchal Vicar in Brazil, at the Patriarchate Headquarters in Bab Touma – Damascus. His Holiness and His Eminence discussed matters related to the Church in Brazil. Their Eminences Mor Timotheos Matta Al-Khoury, Patriarchal Vicar in the Patriarchal Archdiocese of Damascus, and Mor Nicodemus Daoud Sharaf, Archbishop of Mosul, Kirkuk, Kurdistan and Environs, were also present.